I read this article and found it very interesting, thought it might be something for you. The article is called NOTA Exceeds Margin Of Victory In 21 Bihar Constituencies and is located at https://archive.indiaspend.com/bihar-votes-for-its-and-indias-future/nota-exceeds-margin-of-victory-in-21-bihar-constituencies-90033. In October 2013, the Election Commission of India–under orders from the Supreme Court–introduced the option to voters to vote for none of the candidates, by selecting the ‘None of the Above’ (NOTA) option. Though the subsequent state elections and the General Election in 2014 had this option, the recent Bihar elections was the first election after the NOTA symbol was introduced on the Electronic Voting Machines. To everyone’s surprise, NOTA polled 2.5% of the total vote, and NOTA count was more than the victory margin in 21 of the constituencies, according to an analysis of the Bihar Assembly election results by Factly.in, a data journalism portal. Though the election was billed as a close contest, the victory margins suggest otherwise. Only 8 seats were won with a margin of less than 1,000 votes. Almost 87% of the seats were won with a margin of more than 5,000 votes and 70% of the seats were won with a margin of more than 10,000 votes. Close to 19% seats were won with a margin of more than 30,000 votes and six seats were won with a margin of more than 50,000 votes. In fact, all the six seats won with a margin of more than 50,000 votes went to the Grand Alliance (GA). NDA won only three seats with a margin of more than 30,000 votes while the Grand Alliance won 41 seats with a margin of more than 30,000 votes. The scale of the Grand Alliance’s victory was evident even in the victory margin. While the victory margin of the GA was an average of 19,933 votes per seat, the victory margin of the NDA was only an average of 12,360 per seat. The LJP and the HAM have high victory margins because they won in only 2 and 1 seat respectively. On the whole, the average victory margin of the GA more than the average victory margin of the NDA by about 7,500 votes. The NDA came second in 175 seats and its losing margin was close to the victory margin of the GA. The average losing margin of the NDA was 19,538 compared to the average losing margin of 12,583 for the GA. The GA came second in 59 seats. The GA’s victory margin was more than the average while its losing margin was less than the average. BJP won 30 of the 53 seats with less than a margin of the 10,000 votes or less than 5% of the votes polled in most constituencies. Unlike the BJP, all the parties of the GA won more than 70% of the seats with a margin of more than 10,000 votes. In fact, JD(U) won 47% of the seats with a margin of more than 20,000 votes. 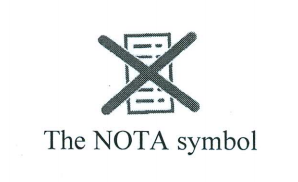 This is the first election after the Election Commission of India (ECI) has introduced the NOTA symbol. The EVMs had a NOTA symbol along with the symbols of all the contesting parties & independents. The NOTA symbol seems to have had an impact in this election with close to 9.5 lakh voters opting for NOTA, which is 2.5% of the total votes polled. This is more than the vote polled by the HAM. 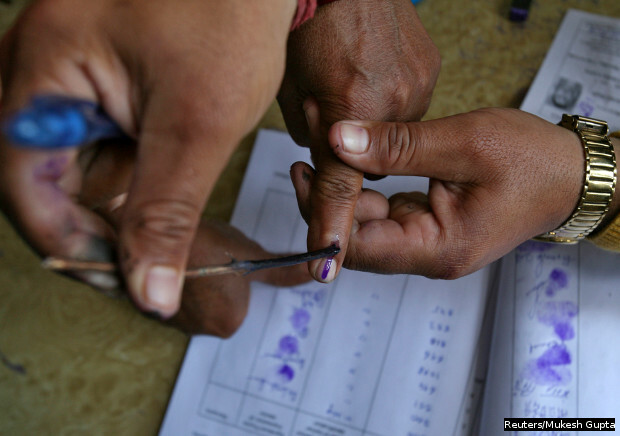 In the 2014 Lok Sabha election, only 1% of all the voters chose NOTA when there was no symbol. What is even more interesting is that the number of votes polled for NOTA was more than the victory margin in 21 seats or close to 9% of all the seats. BJP won from seven such seats while JD(U) won from five. On the other hand, RJD won six such seats. The highest NOTA count was in Warisnagar constituency where NOTA polled 9,551 votes (the margin of victory here was more than 50,000 votes). NOTA polled an average of 4,000 votes in all the constituencies and polled more than 5,000 votes in 72 constituencies. Here is the list of those 23 constituencies where the NOTA count was more than the margin of victory. Data sourced from the Election Commission of India’s website.